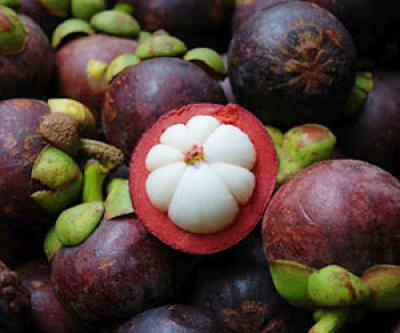 This fruit is very popular in South East Asia. While most locals will love this fruit, many foreigners will hate it and this because of its very distinct aroma. 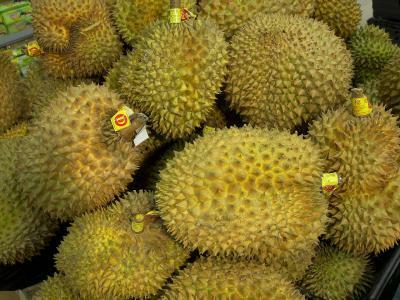 The powerful smell has let durian to be forbidden in hotels and airplanes. While the outside is spiked and rough, the inside of the fruit is creamy and sweet. The fruit looks like a spiked basketball from the outside. The inside is soft and very sweet. It is used in many balinese dishes and you can even find durian-ice cream. Even if the strong smell of the fruit can be repulsive you should try it. The taste is quite surprising. The best season for durian starts in November. 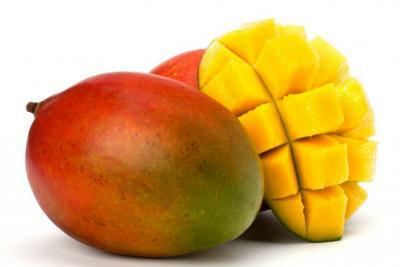 Mango is one of the most popular fruits in Bali and my all time favorite. The Balinese mango turns from green to yellow - red when ripe, the inside is intense orange. The taste is very sweet. It can be eaten fresh as a desert or snack but can also be used in salads and smoothies. 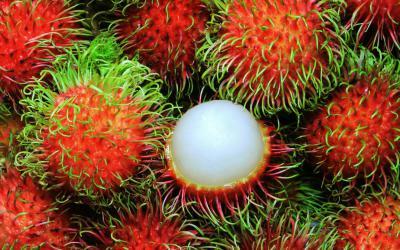 The word ‘rambutan’ means ‘hairy’. The fruit is covered in soft spines that give it a hairy appearance. They grow in clumps on trees that are commonly grown in Bali’s rural areas. The fruit is sold in bunges. When the fruit is ripe, the skin becomes red and the inside becomes sweet. You can compare the taste of this fruit with the taste of a lychee. Inside the flesh there is a pit to which the flesh clings tightly. This pit is unedible. The flesh itself is very juicy and sweet. 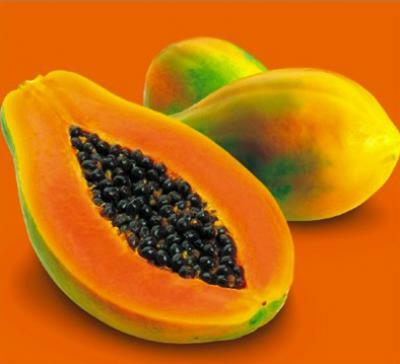 Papaya can be found everywhere in Bali and grows all year round. The flesh is orange. The peel and the black seeds inside are unedible and need to be removed. The pulp has a very sweet and soft flavor. The locals claim that this fruit can help in case of indigestion or tummy ache. Foreigners, be aware that this fruit can have a laxative effect. I like this fruit a lot with a few drops of lime juice sprinkled over it. A must try! Banana is a tropical fruit that is found in many countries in the world. However in Bali, bananas come in many varieties. Most varieties are rather small but very sweet. According to the texture of the species, the fruit will be eaten fresh or fried. 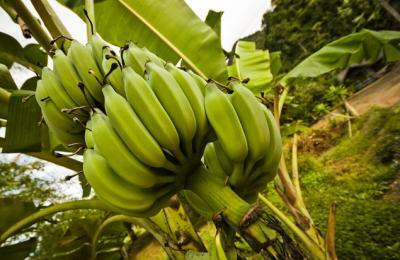 The banana plant grows almost everywhere in Bali and dies after it gives fruit. This backyard-grown fruit is widely sold in traditional markets and supermarkets. 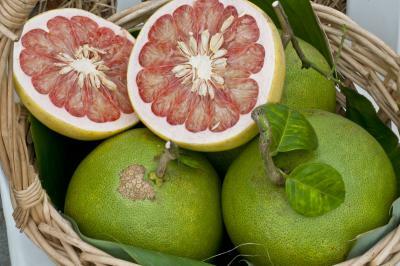 This citrus fruit has a thick and spongy outer skin. The inside looks like a big orange with big lobes but it is not orange but either pink or white. The pulp is very juicy. The juice is sweet with a bitter aftertaste. It can be eaten as a fruit or be used for the juice. The locals burn the skin of the pomelo as a mosquito repellent. 8. 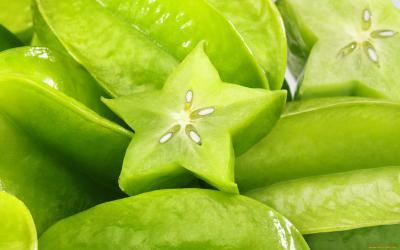 Star fruit, known in Bali as Belimbing. The appearance of this fruit is unique and makes it popular. The skin is edible and is very smooth. The fruit can be eaten like an apple, skin and pulp together. 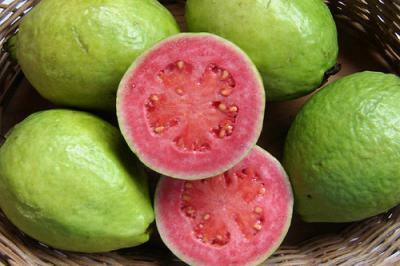 The texture is crunchy and the flavor can be compared to a guava. This is a fruit that has the shape and colour of a pear. It is mostly used for its juice. It is riche in vitamins. 10. 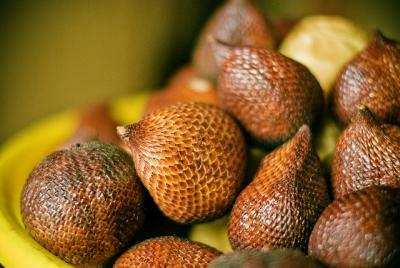 Snake fruit, known in Bali as Salak. This fruit has the size of an apple but the skin is brownish and looks like the skin of a snake. The fruit inside has the crunchy texture of an apple but tastes more like pineapple, a sweet taste with a sour note.